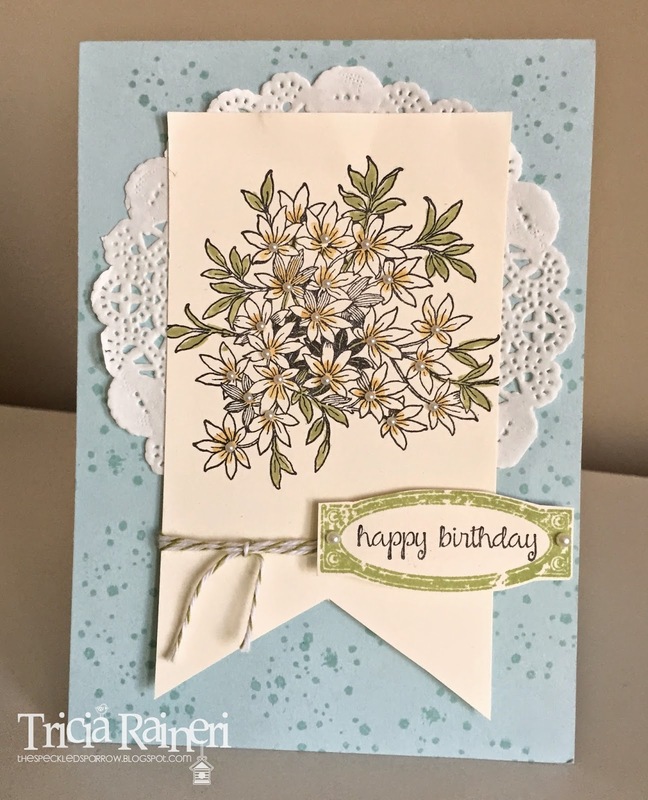 Painted Blooms 50th Birthday Card & A Sneak Peek Version too! I almost forgot to share this card I made for a friends birthday in April. Can you believe it was a whole month ago! I was waiting for the recipient to get her card before I shared it with the whole world, then I completely forgot all about it in the excitement of Convention. I took a quick photo before I gave it to her, but unfortunately the photo isn't that good. You will get the idea though. I used Rose Red which isn't a colour I use very much, but it looks lovely with the Painted Blooms DSP & Soft Sky don't you think? 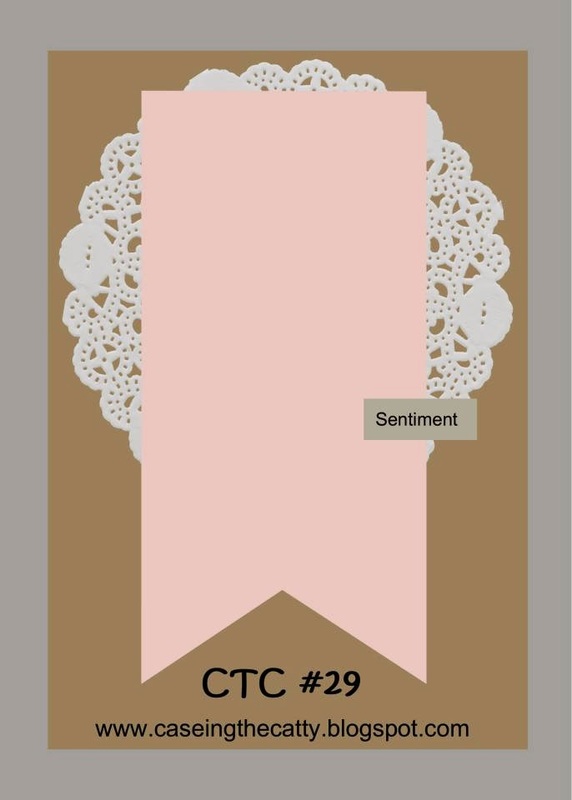 Ok so as I was loading this up onto the blog, I decided I needed to make a "NEW" version of this card. Whilst at convention we were given a pack of the Bohemian DSP. I am NOT a fan of purple so this one was my least favourite gifts. I was stumped as to how I was going to use this paper. When I got home I preordered the in colours & my least favourite colour was Delightful Dijon. To me it was far from delightful! But, after challenging myself to use both this DSP & the non delightful dijon I actually quite like them both now! I think that YES they are rather strong bold colours, but when used correctly you can get a soft effect. I am not kidding you this DSP is bright! You know I am starting to like this Dijon Colour! I have made a few more cards using this DSP which I will share soon. Which version do you prefer? Old or new? Hi There! You may have just hopped here from Elizabeth's blog or you may have hopped here all on your own! 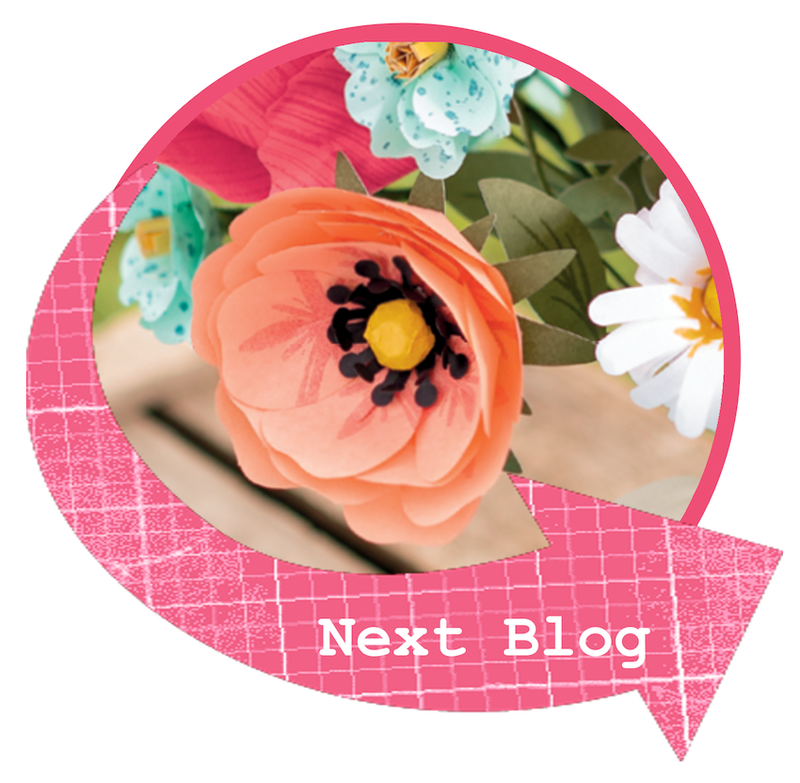 Either way, welcome & enjoy this blog hop we have prepared for you today. I am just back from the Stampin' Up! Convention on the Gold Coast where we got to launch the new 2015-2016 Annual Catalogue. As usual I had a ball! I had lots of fun times with old & new friends, saw exciting new products to play with and I got to come home with an awesome new catalogue! It is a little hard to come down from all that excitement, but I need to focus so I can show you my sketch inspiration for CASE-ing the Catty 29 sketch. 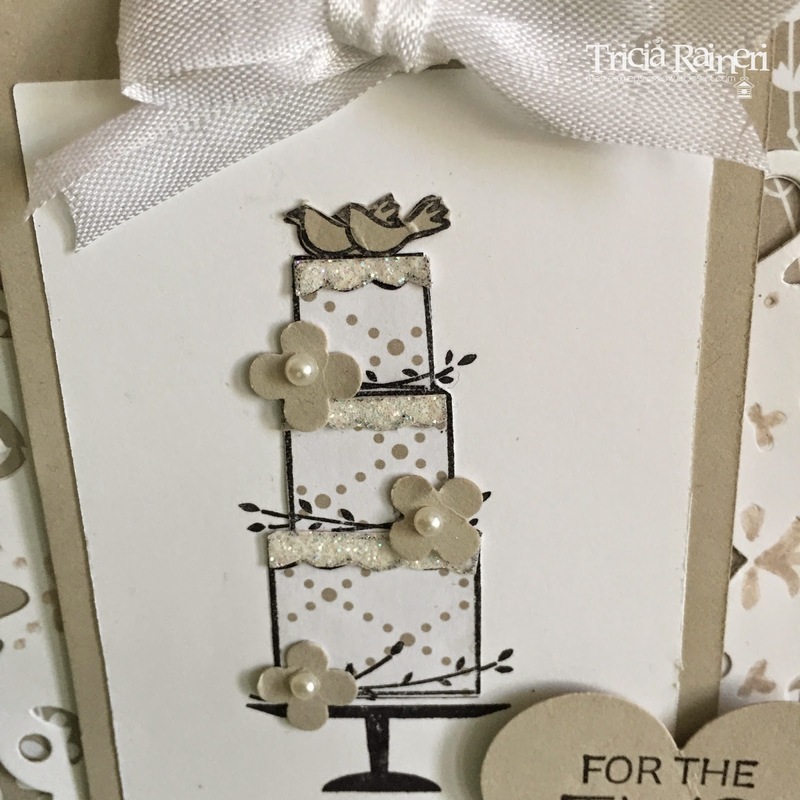 And….here is my card I created using the ever so lovely Something Borrowed DSP from the Occasions Catty on page 42. As you can see I did a little paper piecing on this card. This is a gorgeous wedding stamp set don't you think? I love it & plan on keeping it in my stash of stamps to use again & again. It's a keeper! Now, as I said before I am just back from Convention 2015. As part of Manager reception we received the most stunning little stamp set from the upcoming New 2015-2016 Annual Catalogue. It is called Awesomely Artistic & has a real vintage arty feel. 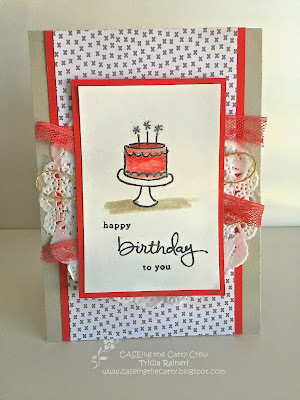 I love the dragonfly in this set, however today I chose to stick to the sketch & make you up a special version just for this blog hop using the sketch above. Since all of those soft pretty In Colours from 2013-2015 have chosen to leave me, I have used my new favourite colour Soft Sky. Sneak Peek Annual Catty "Awesomely Artistic"
This set would make such a lovely Mother's day card, but since it is my birthday today….I figured I would make this one into my very own birthday card! I went a little crazy on the pearls but those who know me, know that I share my birthday with someone very special to me & the pearls are for her. How cute & versatile is that new label stamp in the set?! I bet you are wondering if there is a matching punch to go with that?! Well, stay tuned as the new catalogue goes live on June 2nd! If you would like your very own copy of the new catalogue let me know & I can send one out to you as soon as they arrive. The next stop on the hop is my good friend Rebecca, where I know you will love what she has made.